The court of King James I, where the play was performed. The Spanish Maze was a theatrical play that was performed at the court of King James I in the winter of 1604-1605. Having been a part of eleven plays that were performed in the same time frame, The Spanish Maze is surrounded in mystery as no author was credited for the play. The script for the play has never resurfaced since. Many scholars have attempted to make the connection that the play was an early version of William Shakespeare's The Tempest. As England moved into the 17th century, the revival and translation of classic literature continued. Theater performances started to become more lavish as elements such as music and dance were being incorporated into productions. 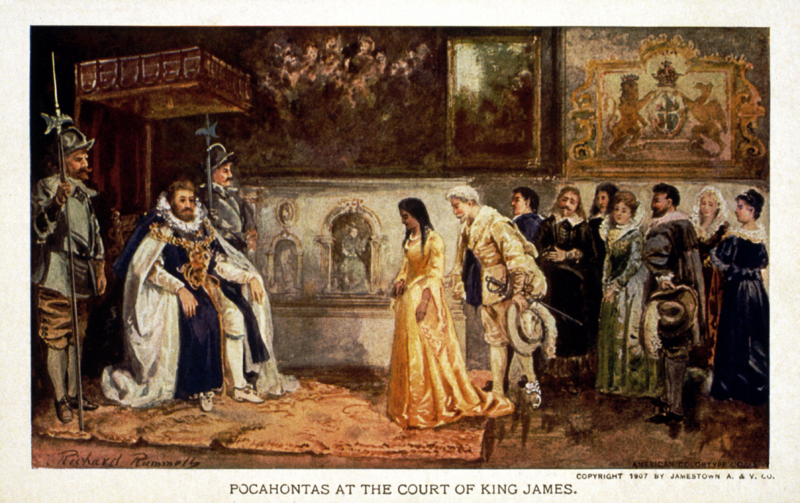 This prompted King James I (1603-1625) to have high end plays only be performed in private. Another type of new element added to theatrical performances during this time was called Masque. Most plays that were based on Masque were usually reserved for performances in the King's court, but playwrights such as Ben Johnson and William Shakespeare did write Masque-like plays for the public. By the 1640's political tension had caused a civil war in England to breakout. As a result, all theater productions would be closed. In the Winter of 1604-1605, William Shakespeare's acting company The King's Men along with Queen Elizabeth's Men and Admiral's Men acting companies performed eleven plays in the court of King James I. Eleven plays were chosen to be performed, two were written by Ben Johnson, seven were written by William Shakespeare, and the final one play was selected was The Spanish Maze. One account claims that an unnamed play was performed by the acting company Admiral's Men on December 30, 1604. Another account by the courts claimed that a second performance of an unnamed play was performed on January 3, 1605. It is unknown if any of these two unnamed plays that were performed was The Spanish Maze. One of the better accounts points to a play performed on February 11, 1605, which had massive anti-Spanish undertones. It is unknown what happened to the scripts used for the three unnamed performances and to this day, the script for The Spanish Maze has yet to resurface. It is unlikely to have presented generalized anti-Spanish sentiment, and therefore also unlikely to have been a product of the Elizabethan war years. The commentary seems to give an insight as to what the play could have been about as England and Spain were rivals during the rule of Queen Elizabeth I. Since it is unknown who wrote The Spanish Maze many scholars have attempted to figure out who wrote it and what is it about. The most popular theory is that William Shakespeare wrote it as a rough draft for his play The Tempest. Others point to the performance of The Spanish Maze actually being a performance of The Tempest. These two theories are backed up by the fact the majority of the plays that were being performed happen to be written by William Shakespeare and that Shakespeare's acting company performed the majority of the plays in the court of King James I. Another theory that is not as popular is that it was a play co-written by Shakespeare and playwriter Ben Johnson. There is not much to back up the co-authors' theory and it is not generally accepted.